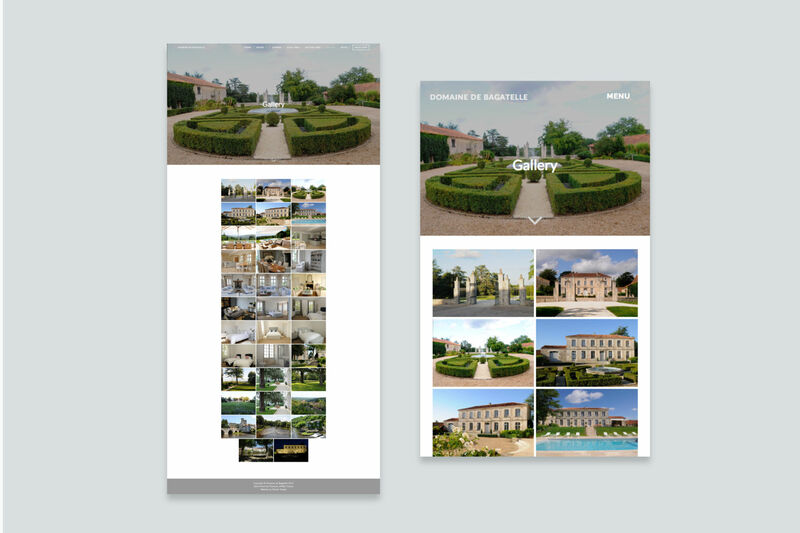 We were asked to create a new website for a beautiful chateau called Domaine de Bagatelle, situated in the Cognac region of France. 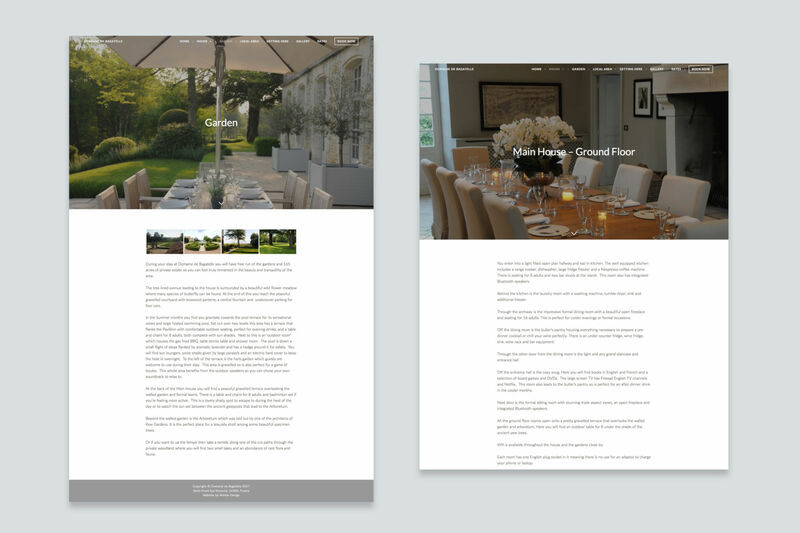 Creating a seamless browsing experience to match the exceptional quality of this impressive property was of utmost importance, as well as ensuring optimum site accessibility to enable straight-forward browsing – and bookings! Visitors are welcomed to the site with a striking, full-screen hero image with gentle slideshow animation. This is followed by links to cornerstone content and image galleries. The fixed-position navigation bar turns from transparent to opaque when scrolling, enhancing accessibility whilst maintaining visual impact. 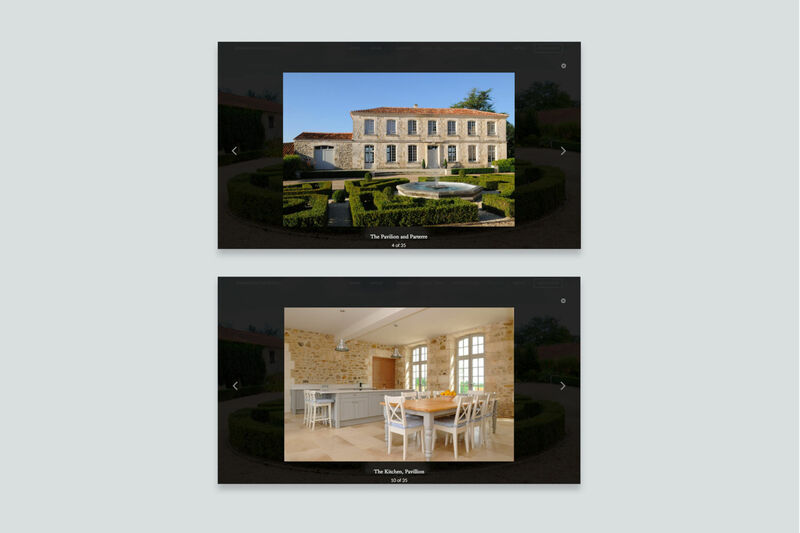 Incorporating drop down menus into the navigation bar keeps each webpage ‘tier two’ for positive SEO and easy site exploration. 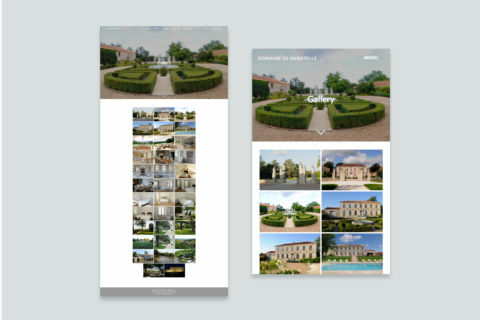 Specific house and garden pages create an opportunity to showcase the unique features that make Domaine de Bagatelle so special. 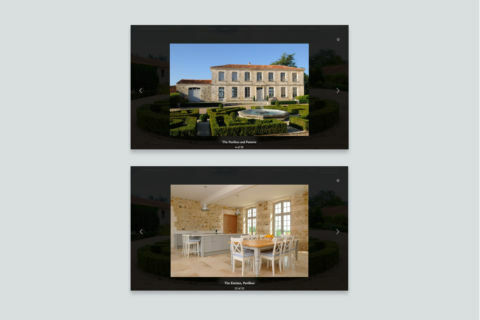 As well as the full-width, HD hero image, these pages include textual information as well as floor plans and other images, which pop up into lightbox view when clicked. 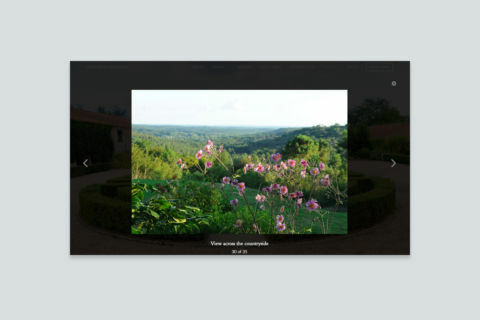 The fluid-responsive gallery page is a visual highlight, presenting a collection of beautiful imagery of the house and grounds in one place. The Book Now page features a custom bookings system, displaying availability. 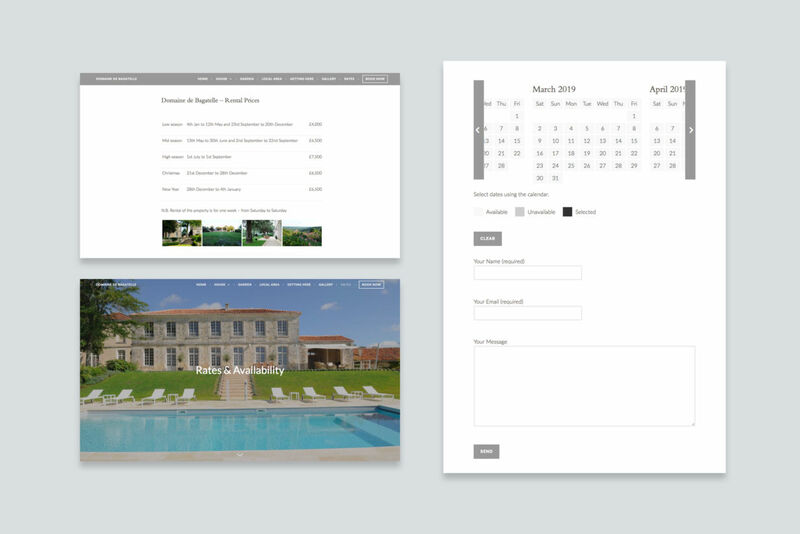 Visitors can manually cycle through dates, make a date selection and view the automatically calculated price. 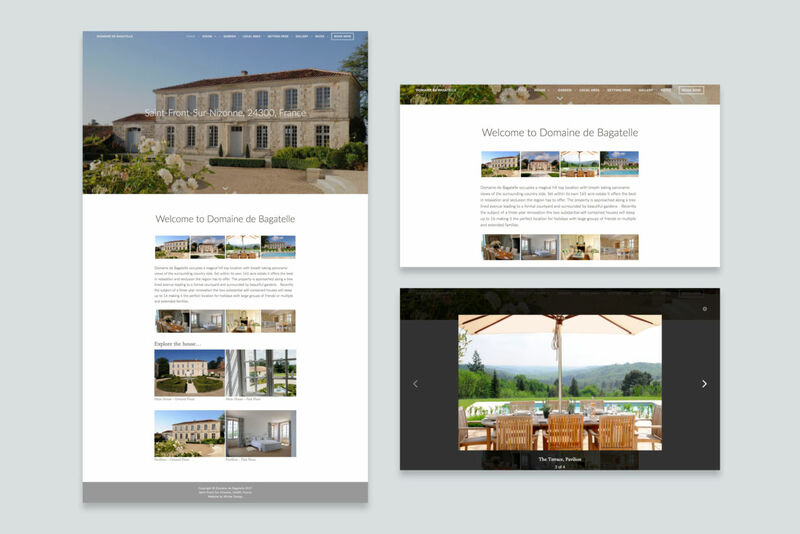 Experience the design at domainedebagatelle.com.